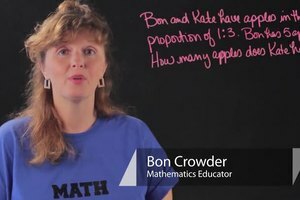 Solving equations and inequalities with fractions without the same denominator by using multiplication is something that you do to both sides of the equation. 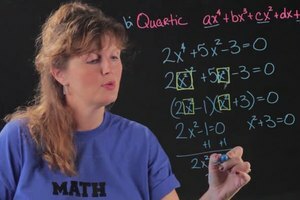 Solve equations and inequalities with fractions without the same denominator by using multiplication with help from a professional private tutor in this free video clip. 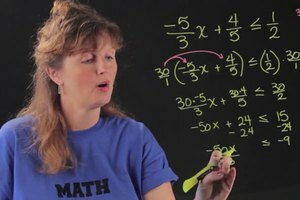 Hi, I'm Rachel, and today we're going to be going over how to solve equations and inequalities with fractions without the same denominator by using multiplication. So, what we're going to do is multiply both sides of the equation or inequality by the LCD. It's important to remember that stands for least common denominator, and that equations and inequalities we solve them both in the same way here, and we treat the inequalities just as if the were equations. So let's look at an inequality, because that's just like an equation. I want you to be able to understand you can solve it just like so. So let's say we have a bunch of fractions like negative one-fourth x plus three-fifths is greater than, we'll do one-half. Okay, so here we have fractions, and they all have different denominators. So we're going to multiply both sides of the equation or inequality, which here we just treat as an equation, by the LCD, the least common denominator. In this case, it's 20, right? 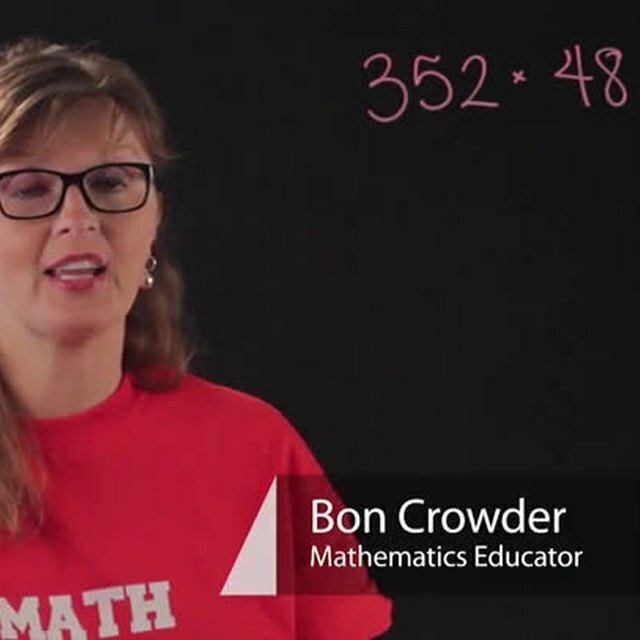 That's a number that all the denominators go into. 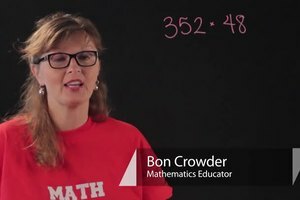 Four, five and two, the smallest number they go into is 20. So we're gonna multiply both sides of this equation or inequality by 20. Now, let's see what we have. 20 times negative one-fourth gives us negative 5x, plus 20 times three-fifths, well that's four times three is 12, is greater than 20 divided by two, or times one-half, is 10. Okay, so now it's so much simpler, and now we just solve it from here. So we have negative one, negative 5x, we subtract 12 from both sides, so is greater than, that's gonna be negative two. Then we're going to divide both sides by negative five. Now this is the only time that inequalities differ from equations. When we're dividing an inequality by a negative number, we have to switch the sign. That's the only time that this is different, and that's why I showed you this example. So, we just switch the sign from greater than to less than. So we end up with x is less than, and here we have negative two divided by negative five which gives us two-fifths. So x is less than two-fifths, and that's the answer to this inequality. And that's how you do the problem. I'm Rachel, and thank you for learning with me today.